Have you ever used a tickler file to help you plan a future event? It is a way to remind yourself about something that needs to be done on a certain date. Before electronic organizers and computer based calendars came along a tickler file was managed by using physical folders in a file drawer. By using a system of folders you would be able to file something up to 12 months in advance that would give you a reminder on the day that you needed to deal with the item. Today that can be taken care of by scheduling something on your computer based calendar. It is easy to drop in a reminder of when something needs to be dealt with as many years into the future as you think you will be alive. If you live and die by your calendar (which every missionary on deputation or furlough probably does), then this system may work very well for you. However, once you hit the field, you may find that looking at your calendar once a week (or once a month) is sufficient. Routine sets in and the pace of life is so much more relaxed on the field that you may find that you don’t even need a calendar to remind you of upcoming appointments. How are you guaranteed to see that note to yourself if you aren’t tied to the calendar like you once were? 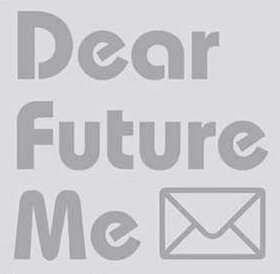 There is a service called FutureMe which allows you to send an email to yourself in the future. While I don’t always have a calendar open, I do get email and process it as necessary. FutureMe places the reminder right in my email inbox where I am sure to see it. The FutureMe website has a simple form you fill out with the email address you want the message sent to and the text of the message. You can make the message public (but anonymous) for the purpose of sharing with other readers the silly things you might say to yourself in the future. Or, the default is to keep the message private. This is the setting you want to use if you have any personally identifying information in your message. The private setting is also a good idea if you are using this as a business tool to remind you to work on a project in the future. I do have a some concerns with the service. Of course the biggest is that they will disappear before my message arrives. They have been around since at least 2005 that I can verify. That gives them a 6-year track record. I don’t know if I am ready to trust the service as my only reminder; in which case, I have to wonder about the wisdom of using it in this way. If I am going to write down the reminder somewhere else, then where is the value in using a service like FutureMe? For me I am using it as a belt-and-suspenders solution. If I set enough reminders, surely I will see one of them. My second concern is what are they doing with all those email addresses they are collecting? They say they don’t use them for anything and they don’t sell them. I guess we just have to trust them. There are many other services in the world that we trust, why not one more? Other problems would be user-generated problems. Did you type your email address correctly? Your email may change between now and the time the message is delivered. Fortunately you can create an account and manage your messages and change the addresses as necessary. It is also possible that your spam filter flags the messages and they never arrive. You need to make sure that doesn’t happen by at least testing the service before you depend on it for anything important and then white-listing their address in your filters. Do you know of any other service that does something similar? If you use Google Calendar you can have it send you an email reminder about upcoming events too. Does this sound like a service you would use? Leave a comment and let us know.